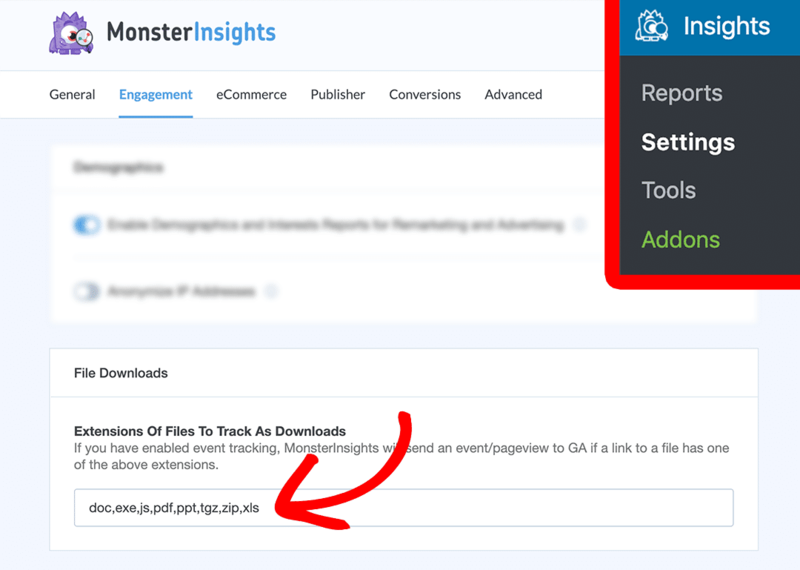 By default, MonsterInsights allows you to track file downloads as an event. With MonsterInsights, you can easily change the download tracking settings and add support to more file extensions. In this guide, we’ll help you how to change the download tracking settings. You can change the settings by navigating to Insights » Settings, clicking on the Engagement tab at the top of the page, and then navigate to File Downloads down the page. You can choose to track downloads as events or pageviews. By default, downloads are tracked as events. You can read more about events in Google Analytics here. 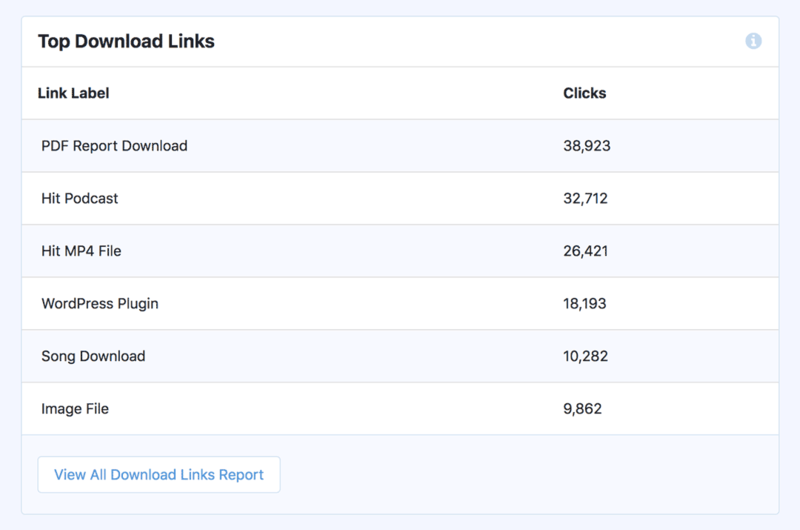 Tracking downloads as pageviews is not recommended because it can skew your traffic statistics. But it does enable you to track downloads as goals. You can read about goals in Google Analytics here. By default, you can track downloads of the following file extensions: doc, exe, js, pdf, ppt, tgz, zip, xls. To track the downloads of more file extensions, you just need to add it to the Extensions of files to track as downloads field, separated by a comma. This report is available for all Plus Tier users and higher.